Polyester 300 styrene free resin is a general purpose resin suitable for brickwork, most natural stone and brickwork. It can be used in dry and wet holes. 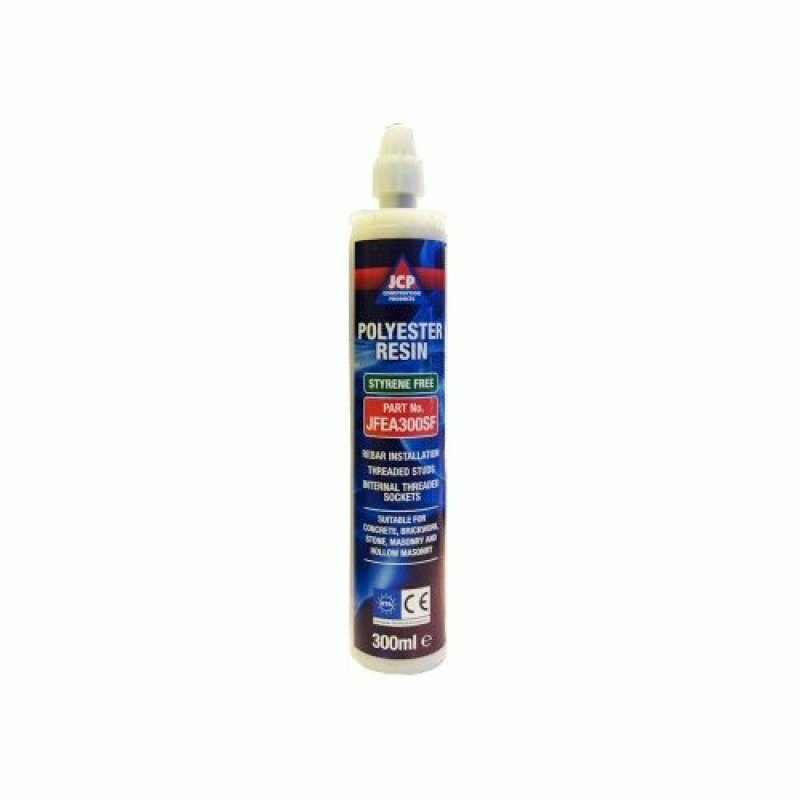 The polyester styrene free 2 part injection resin is suitable for use in solid concrete, solid brickwork and natural stone as well as hollow materials using a suitable sleeve. It can be used for installing threaded studs, rebar or internal threaded sockets.